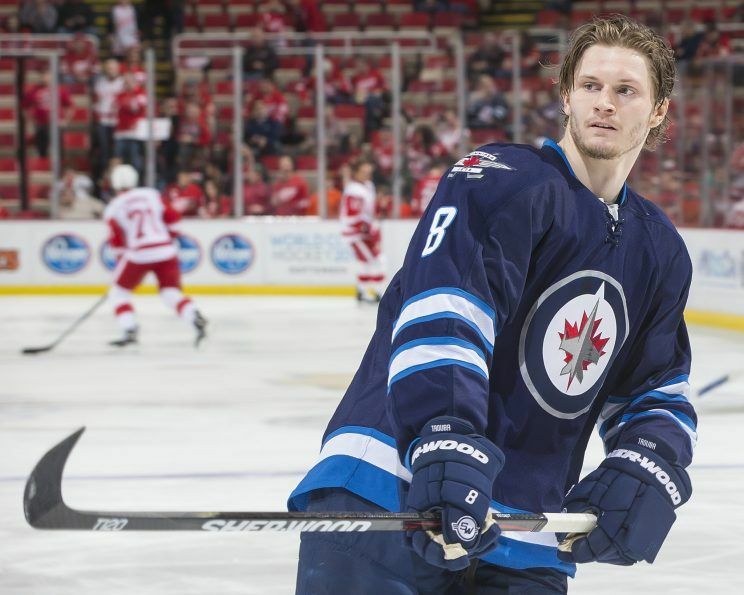 Trouba’s signature could mean a later trade for the jets defenceman. General Manager Kevin Cheveldayoff was able to sign the left defenseman to a 3 year 6 million deal on Monday after the young defenseman decided to sit the start of the season after asking to be traded in order to get more ice time. In the case of Jacob Trouba’s signature, the 6 million deal allows the Jets to have Trouba back in the lineup an gives them more latitude for a later deal, if required. What if the pending deal is not Jacob Trouba. Ahead of Trouba in the depth chart you still have Dustin Byfuglien and Tyler Myers on the right side. Trouba wants to play more minutes (top four) on his natural side and the only way to do so is to play on the left side. Cheveldayoff played his cards right in this case which will allow him to take the time and either get a left defenseman capable to assume a top-four role or trade either Myers or Byfuglien. Trading Byfuglien is doubtful based on his recent signature and what he means to the Jets. This Trouba story is not over yet and we could a later trade deal depending on the Jets status later in the year. 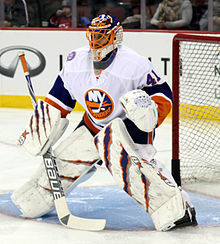 The three goalie rotation in New York could be going for a little longer according to TSN Trade Insider Darren Dreger. last weekend, Dreger was quoted in saying the Halak watch is quiet at this time and only a couple teams have kicked tires in his case. We can expect Halak will be called to fill a role of backup and the Islanders would have to assume of his salary should he be traded. The Islanders have currently three goalies on their roster: German-born Thomas Greiss, Jean-Francois Bérubé and Jaroslav Halak. The reason for not taking Halak remains his salary cap hit at 4.5M which many teams can’t afford to take. Again, it is probably in the best interest of the new York Islanders to absorb some of it (50%) to make a deal. 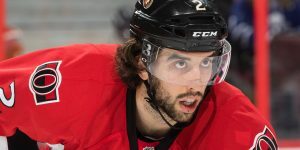 Interest could be coming from San Jose, Los Angeles or Toronto who could be looking for a backup. 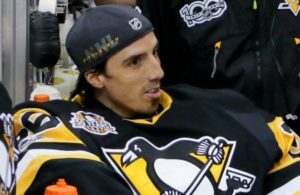 A similar situation exist with demoted goaltender Ondrej Pavelec from the Winnipeg Jets. Pavelec, 31 now playing with the Manitoba Moose was placed on waivers by the Jets 10 October, 2016 and hasn’t been moved since. 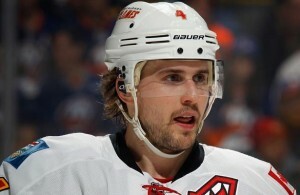 Similar to Halak, his salary is high for any team with a cap conscience. 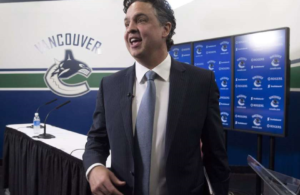 After nine straight losses, the Canucks finally got a win against the surging Rangers last night. Their losing streak largely due to their lack of offense hasn’t gone unnoticed. The team saw Loui Ericksson and Alexander Burrows score their first goal of the season. Burrows tallied one more in the third finishing with two. 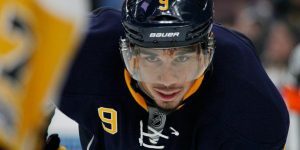 Rumors are persisting that Vancouver could be making a pitch for Buffalo Sabres Evander Kane who just returned to action this week following a rib injury against Montreal in the season opener. Buffalo wishes to move Kane who had a busy off-season with harassment charges laid against him. 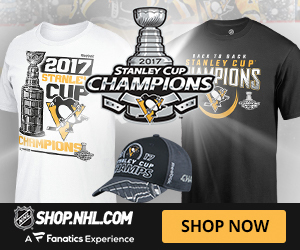 For Kane, who’s from Vancouver, it could be a nice change and an occasion to restart a career that was so promising at one point.